Cut the onion into thin length wise pieces. Add salt to it. Keep aside for 10 minutes. 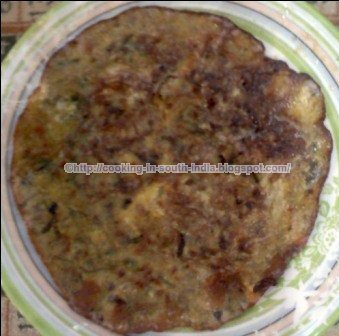 Add Besan, Rice flour, Red chilli powder, Baking soda, Salt, scratched green chilly and Asafoetida to the Chopped onion and mix nicely. Don't add water as the Onion with salt leaves a good amount of water. If necessary just sprinkle a few drops of water and don't make the batter too thin. Heat oil in a fry pan once heated put the curry leaves and fry for a minute then take fried curry leaves and keep aside. 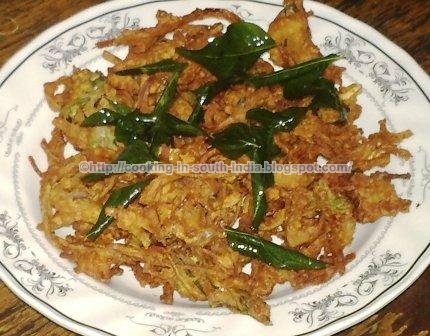 Fry the Onion mixture in oil until the Pakoda become brown in color. Garnish the Onion Pakoda with fried curry leaves and Serve hot. 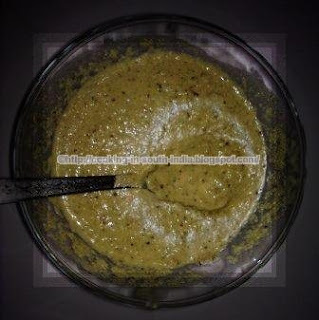 Coriander chutney is a healthy and tasty recipe from South India. I am going to explain about How to prepare Coriander chutney in Tamil Nadu style. 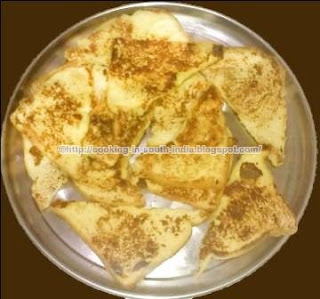 which is a best combination for Idly and Dosa. 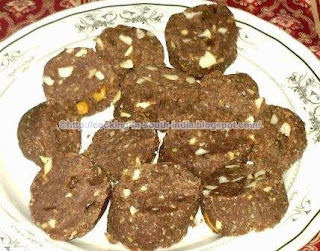 grind the mixture with little water into thick paste. 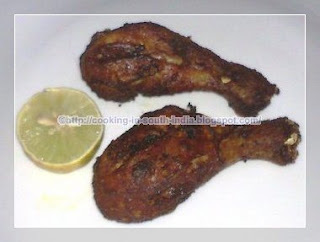 Wash the Chicken drumsticks, add all the above mentioned powders. 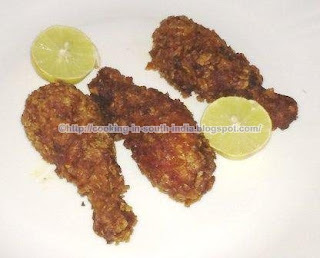 Deep fry the chicken until became fully cooked and brown in color, tasty leg fry is ready. 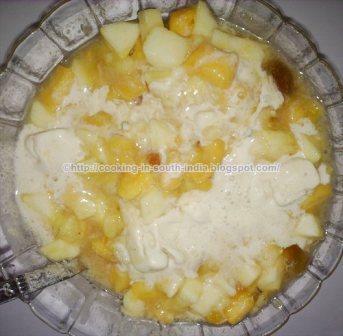 Cut Mango, Apple, Banana, Dates and Pineapple into small pieces and Mix all the fruits and juice together in a bowl, before serving add the kulfi ice cream, If you like add some milk and nuts or mixed fruit jam also. and this is good for children's and for adults those who want to control their weight, avoiding Ice cream is better. Bread Toast with Egg and Milk is a very tasty and nutritional recipe particularly for children's; It take very less time to prepare and I'm happy to share one of my favorite recipe with you. Dip the bread slice in the mixture until it observers the mixture. In a normal heated pan pour some oil and put the soaked bread slice. 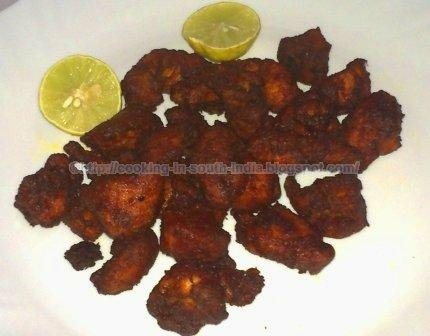 Pour some ghee and fry both sides until getting the golden brown color. Bread Toast with Egg and Milk is ready. * The Body Mass Index (BMI) can be used to find out if you are overweight or obese. 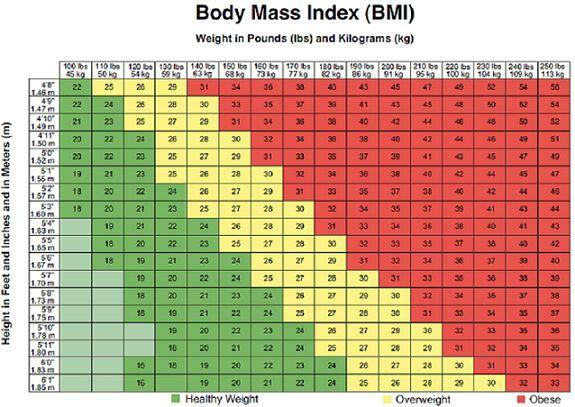 Height and weight are used to find your BMI on this chart. * In the graph below, mark the square where your height and weight cross. The color of the square will tell you if your weight is healthy, overweight, or obese. a lack of physical activity, and poor nutrition will bring bad news from your physician. # Drink water instead of soda or other drinks high in calories and sugar. # Take action now to prevent disease, reduce the fat, STOP SMOKING, PLEASE! # Keep lots of fruits and veggies on your table and when you shop, read the food label. # Turn off the TV and go for a walk. # Go with a friend and enjoy a good talk. # Plan for the future and increase your chances of attending your kids’ graduations and dances. Change your lifestyle now—Play it smart! start living healthy, and guard your heart! 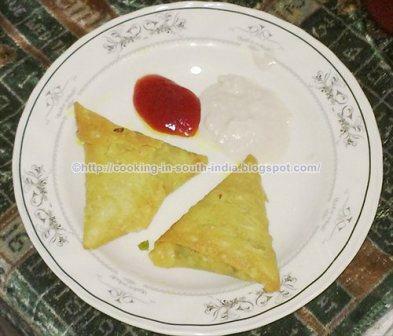 In a pan add oil, finely chopped onion, green chilly, coriander leaves then fry it well until the raw smell goes. Then add the all above powders fry it well for 5 more minutes and keep it aside. Now in a separate bowel add the eggs, fried onion mixture and salt then mix it well.